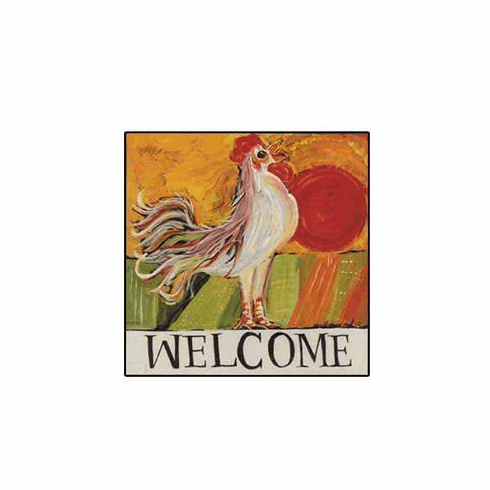 Welcome Rooster Print from Nancy Thomas original painting framed simply, in a hand-painted black frame. Frames are hand-cut and painted. Next, the prints are hand-assembled, one by one with care and attention to detail. Nancy Thomas Gallery products are proudly handcrafted and assembled in the USA.